Hello Foodies!! Once again ITC Fortune Inn Grazia, Noida is back with Royalty and that means they have an amazing Rajasthani Food Fest which brings you flavours of Rajasthan to your palate. Earthen Oven, Fine dining Indian cuisine restaurant have hosted a feast for all food lovers and this time their theme is Rajasthani culture. 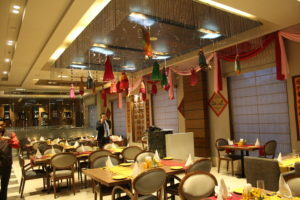 The restaurant is also looking colourful and positive by Rajasthani theme. 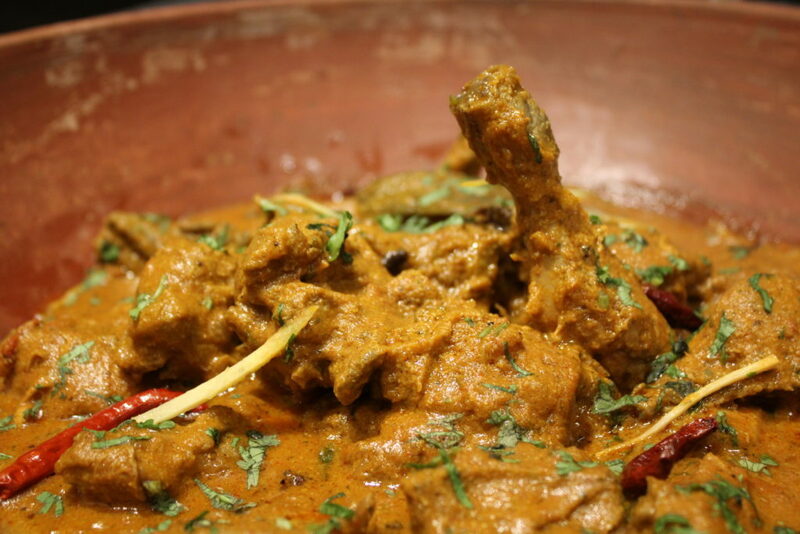 From Succulent Kebabs to Laal Maans to magnificent desserts they are having all. Starting with the first course they serve you Bail ka Sharbat (Wood Apple Squash) which was refreshing and a traditional welcome drink as well. As there was a buffet there are elongated series of dishes from which you can choose. 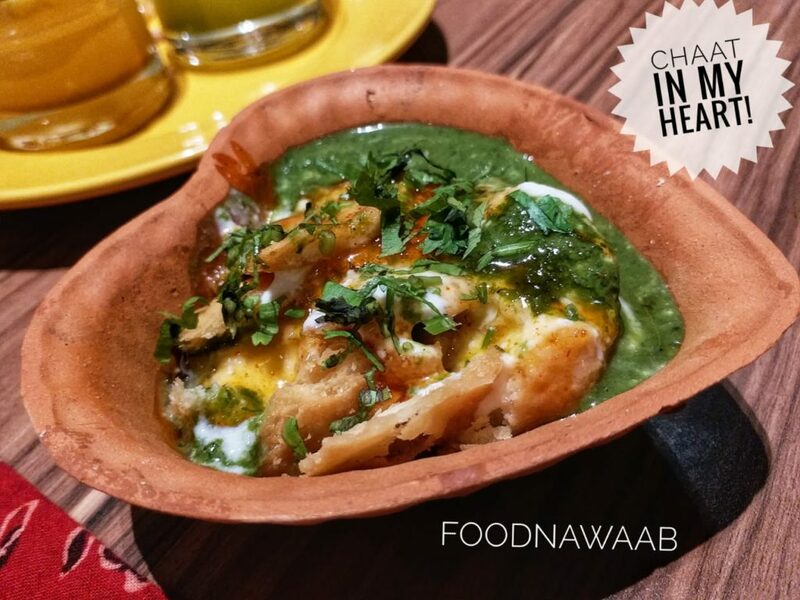 The first thing was from Rajasthani Chaat Corner was the Chaat, the presentation was in a heart shaped mould made from Earthen pots which is also traditional from Rajasthan. The Chaat was well balanced and not too spicy or sweet but you guys are always free to customize your chaat. They have prepared amazing soups as well where I tasted Murgh Zafrani Soup which was light, consistency was good and balanced in flavours. 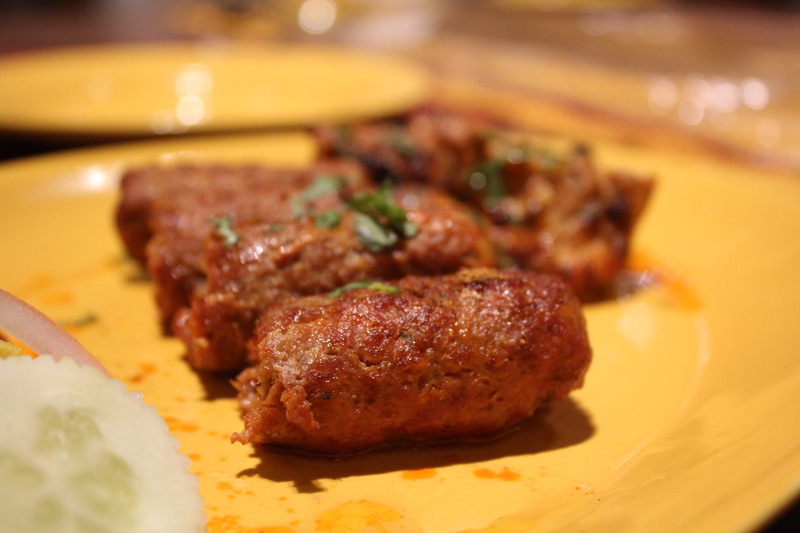 The Kebabs were the next on the list which was served, there were Mutton Seekh Kebabs, succulent, tender and delicious. After our Kebabs as our starters there were different dishes which we tasted from Vegetarian to Non-Vegetarian of Rajasthani Cuisine. The first dish that I tasted was Murgh Jodhpuri, which was amazing and spicy as most of the Rajasthani food contains dry red chillies. 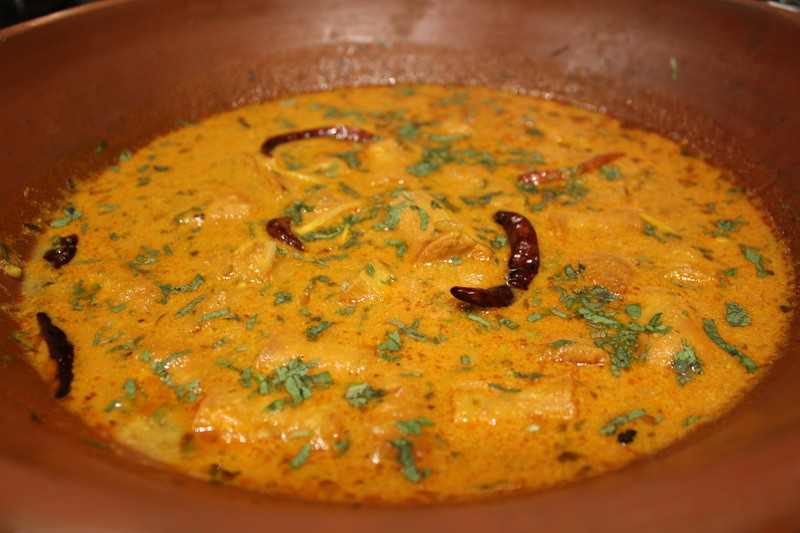 The gravy was cooked with whole Indian spices very well prepared. I really liked one particular dish which is “Ker Sangari ki Subzi” which is a Vegetarian dish cooked with oil and spices with Sangari beans, black chickpeas (Kaala Chana) was really amazing and traditional Rajasthani dish. It was looking so vibrant. Then it comes to Dal-Bati which is also a traditional dish of Rajasthani Cuisine. 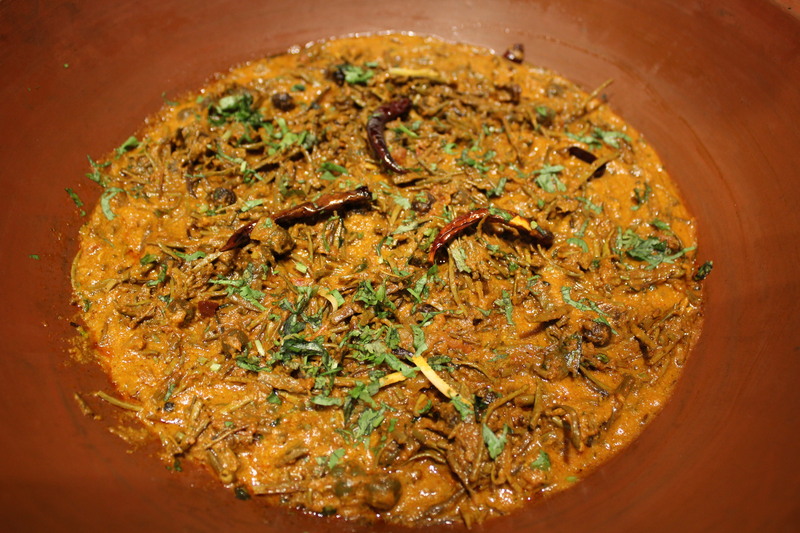 The Bati adds the crunch when eaten with Dal. 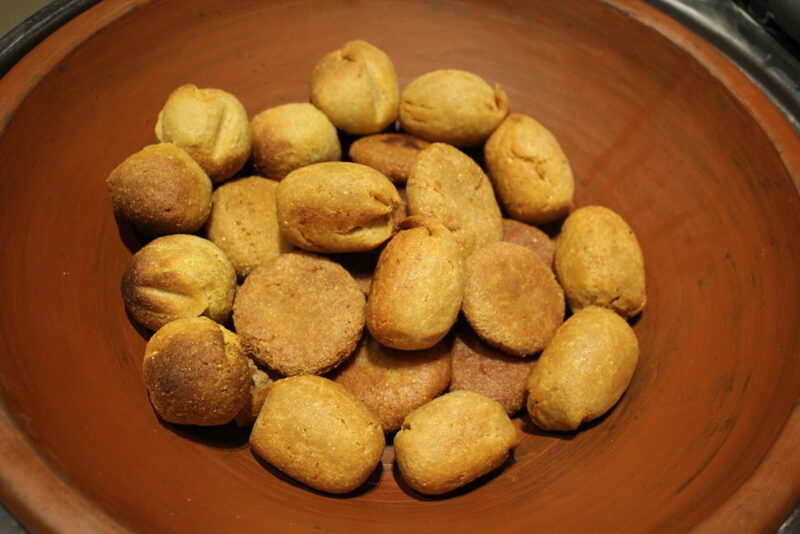 You must notice that every dish is served in the earthen pots as most of the dishes are also cooked in Earthen Pots in Rajasthan. Also, dal looks vibrant as well. 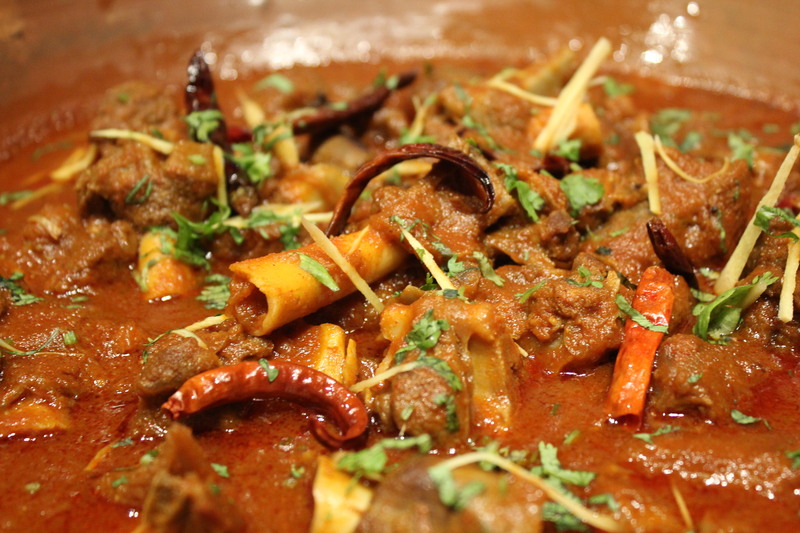 Coming to the last and final dish of Main Course which I tasted was Laal-Maans, which is also a traditional recipe of Rajasthan cooked with lots of whole red chillies which are famous of Rajasthan and they have used Mutton-on bone in the recipe. 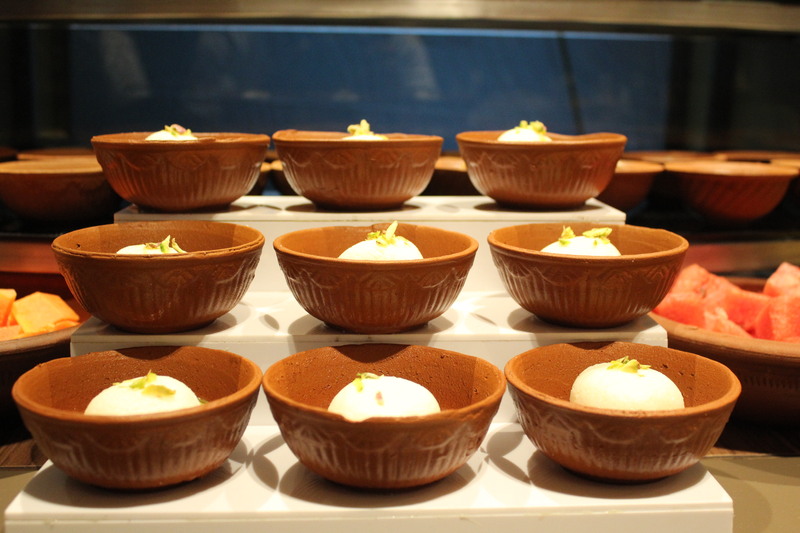 Although it was way too packed with heat and spices but desserts are essential in any part of food culture and Rajasthani food have a wide range of sweet dishes and it’s for those who have Sweet Tooth. There are Barfis, Rabri and Chumchum and lot more but I really liked ChumChum as it was infused with Rose flavour which was refreshing, calm and cleans all the heat from your palate. So foodies the Fest is till 22nd July, 2018 ! You guys should enjoy this feast before it ends. Get the flavours, dive in the culture of Rajasthani Culture and enjoy the ambience along with delicious food at Earthen Oven, Fortune Inn Grazia, Noida.